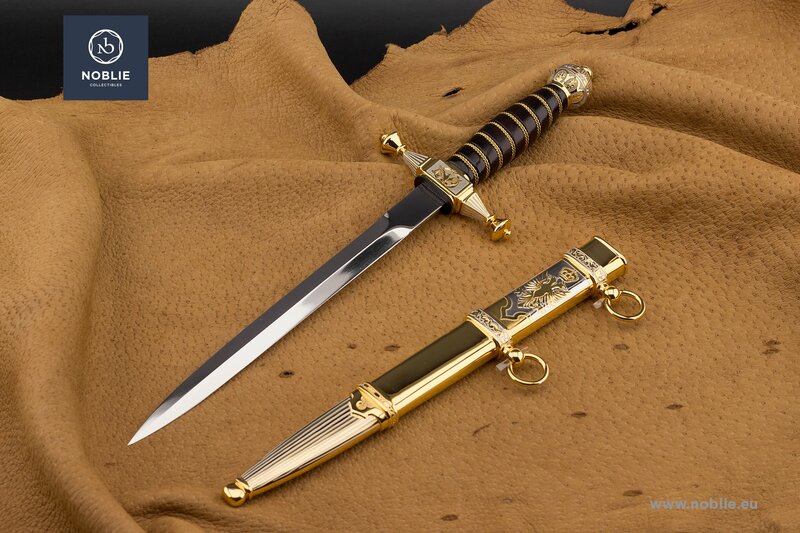 Noblie / Catalogue / Dirks / Dirk "Imperial eagle"
Blade of stainless steel 440C. 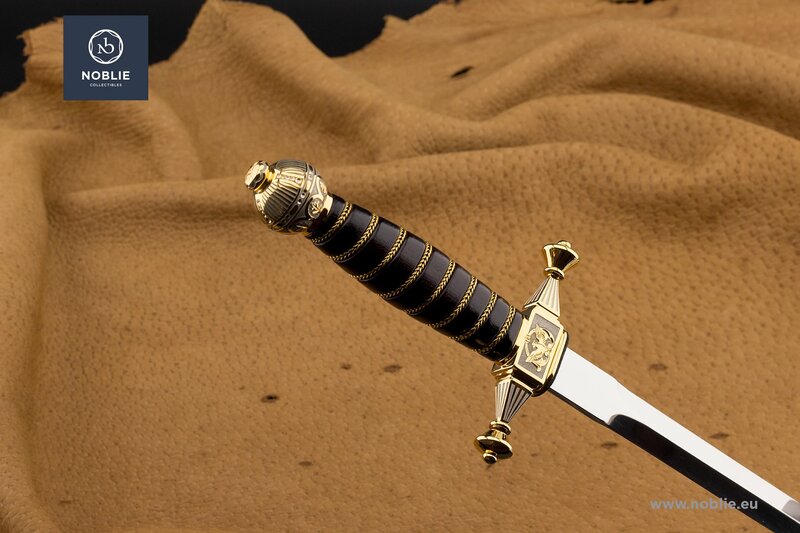 Handle made of metal and leather parts. 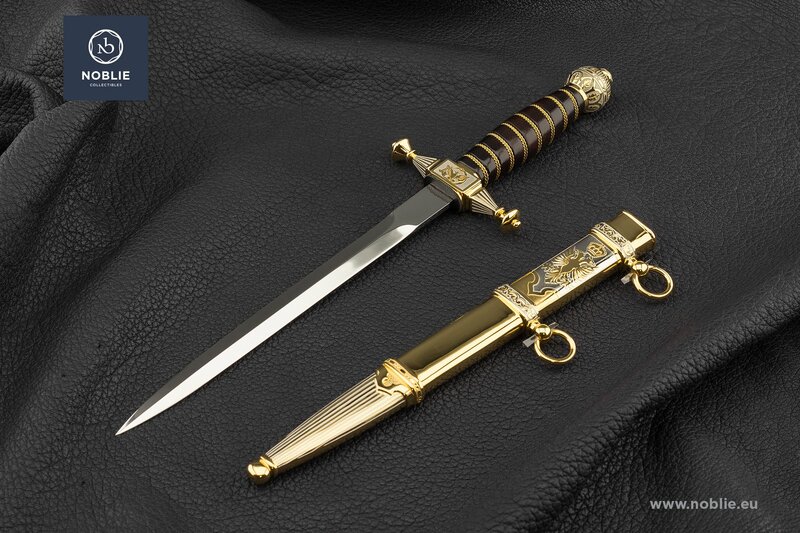 Brass made and gilded guard and pommel. Block shaped guard. Middle parts with engraved griffin on one side and clover on the opposite side. Decorative quillions with small crowns endings. Globe crown shaped pommel. Black leather grip, wrapped with gilded wires. 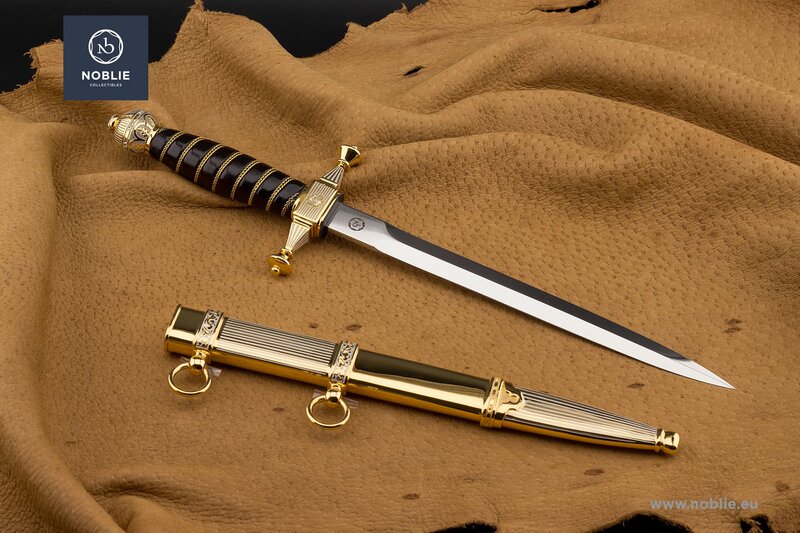 The scabbard is all- metal forged, engraved and gilded. 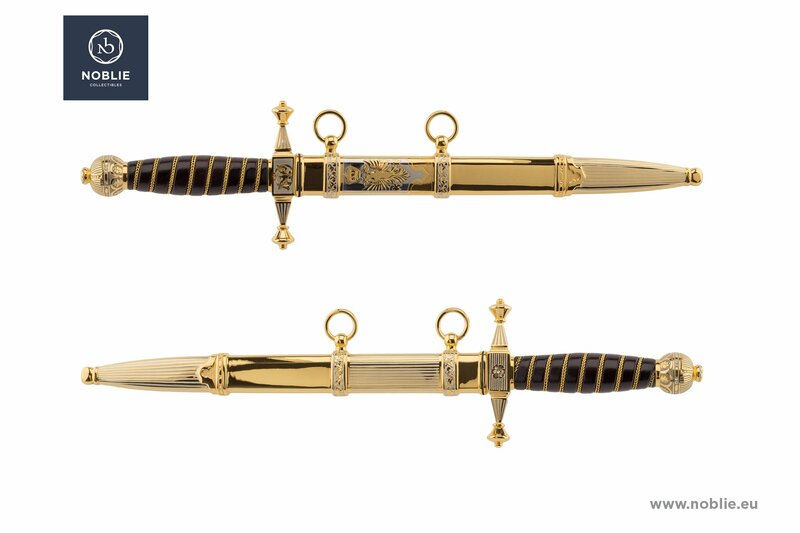 Three decorative bands with two attached hanger rings that divide the scabbard on four parts. A frame on one side with depicted Imperial insignia of double-headed eagle and a crown above. Engraved stripes on the opposite side. A chape of engraved and gilded stripes and ball ending.